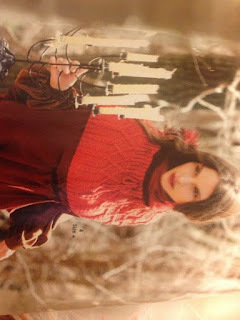 However, a while back I picked up an issue of Vogue Knitting with the feature, "Cape Play" and found myself confused. 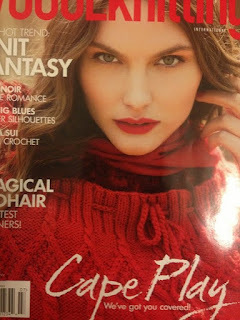 The pattern on the cover is a gorgeous cabled.. erm.. cape? Poncho? 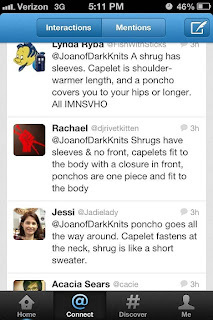 Very short ponchlet? 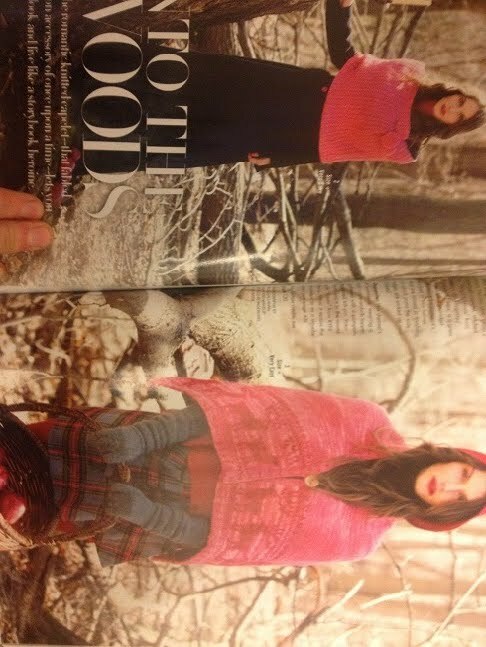 Vogue calls it a cape, but it's a little ponchoish to me. Forgive the sideways picture, but blogger is being an absolute jerk today and no matter what, is shifting my pictures sideways. Vogue calls both of these capelets, but according to the majority on twitter, only the one on the right would be a cape, since it has a button front. To me, the one on the left is definitely a cape since it's got the button front, but the one on the right SCREAMS poncho to me! It's a good hanging around the house piece, and I think it could actually work in the fall and spring over my tanks or lighter dresses. So what is it? It can't really be called a cape, since it's closed in the front, it's not at all a poncho (I insist upon that) and of course is way too big to be a cowl. No sleeves, so not a shrug either. Not only that, I KNIT THAT PONCHO. I should probably frog the sucker, since it's way too heavy to be comfortable. Not to mention the fact that it's sort of hideous. 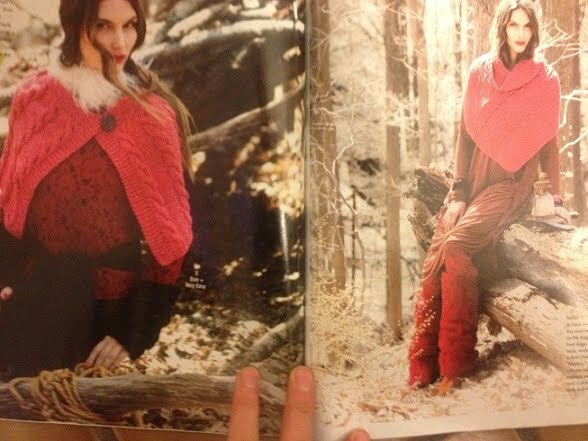 It's just so hard to let go of the early knitting atrocities! 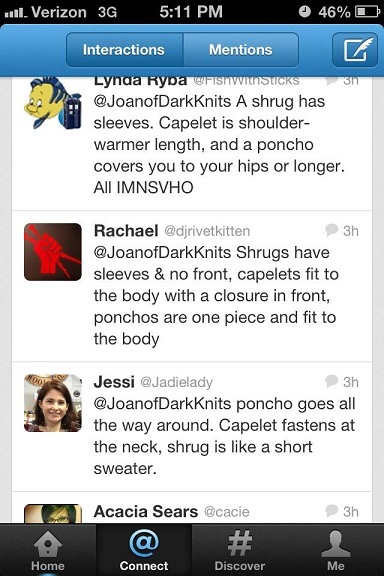 Feel free to chime in with your opinions on what the heck defines shrugs, ponchos and capelets either in the comments or over on twitter! For those interested in the pink ponco.. erm cowl... erm.. shrug, eh cabled THING I knit, I'll be posting the pattern up on here soon with a tiny modification. (I wanted it to be about 2" longer, but after frogging that sucker so many times there was no way I was going to start over again)! In the meantime, help me figure out how to classify this thing on the ravely database! "So what is it? 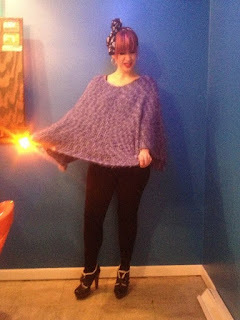 It can't really be called a cape, since it's closed in the front, it's not at all a poncho (I insist upon that) and of course is way too big to be a cowl. No sleeves, so not a shrug either. Maybe a shawl? I think that the intent behind the clothing is what's important too. I've seen tube tops as mini skirts. And I'll often flip between callng something a tunic or a dress depending on whether it's paired with tights, leggings, or jeans. 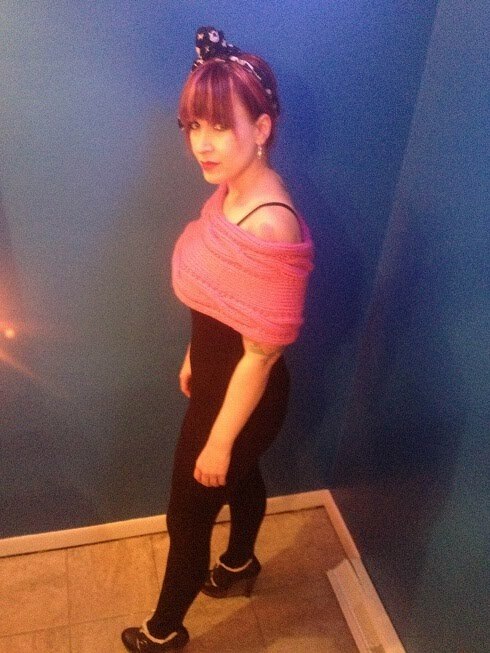 Have you seen this "circular scarf" from American Apparel? I think they ran into the same problem of not knowing what to call their garment. If you click on the different color options, you can see the different ways it can be worn. How you wear it completely changes what it is.